Fairly certain I have read more VE Schwab than anything else! Between reads and re-reads, I am a total Schwabaholic. I have to go with Words of Radiance by Brandon Sanderson. No 2nd book has ever shocked and surprised me quite as much as this one. Coffee for sure! Preferably Book Lovers Coffee! Since I’m getting really into Netgally reviews, I am on my Kindle a lot more. I just got a new one and a fancy new case so I’m loving it. In general, my preference is for physical books. I would have dated Wylan. He’s the sweetest, but I could never take him away from Jesper. Definitely Give the Dark my Love by Beth Revis! One of my favorite books of the year, and I almost skipped it! Can I say Give the Dark my Love twice? Another recent favorite of mine is The Casquette Girls by Alys Arden. The day I subscribed to Owlcrate! That box eventually led me to bookstagram, and opened up so many bookish interests and opportunities for me. My life is so much richer thanks to Owlcrate. Black Wings Beating by Alex London. Not a fan. I don’t really get into romance. If a book seems like it will have a huge focus on romance I usually skip it. Oathbringer by Brandon Sanderson at over 1200 pages. This is a hard one for me, I don’t get a lot of book hangovers. I did get one after Strange the Dreamer. I have 4 bookcases, and I really don’t have room for anymore. I also have a set of floating bookshelves that I love! On my couch right next to my book shelves! There’s a quote in The Dark Descent of Elizabeth Frankenstein by Kiersten White that I love. I think it says a lot about Elizabeth and really speaks to her character and what she wants out of life. Rabbit & Robot by Andrew Smith. Just not a good choice for me. 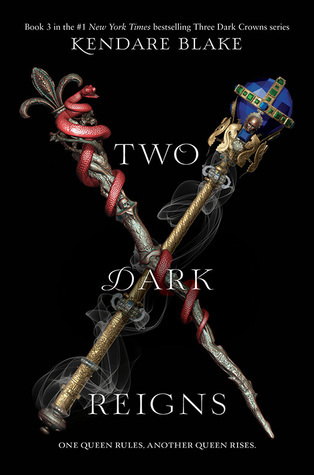 The Daughter of Smoke and Bone series! I read the first one and I loved it so much and then I never continued. All the Cosmere books, I need all things Cosmere plz and thank you. Some of Brandon Sanderson’s series connect. I love when authors do tie-ins for their series, and I think the Cosmere is the #1 example of this. I am so into finding all the repeat characters and hidden connections between the books. I feel like I would be a fool if I didn’t say Vengeful for this one! Vicious was one of my favorite reads this year, and after hearing Schwab talk a little bit about her inspiration for the sequel, I am so looking forward to seeing where she takes the series. Buying books and never reading them, or just buying a book before I know I want it forever. I don’t have a ton of space for books in my teeny tiny San Diego condo, so I have to curate my book collection a bit carefully. Netgalley has been a big help because I’m not mostly buying finished copies I know I love after reading the e-Arc. 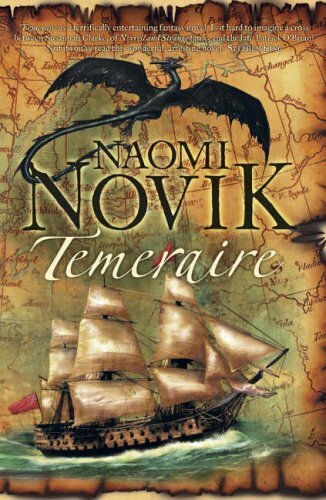 I went to my TBR shelf, and I found Temeraire by Naomi Novik! I believe it was a copy of Warcross that I painted for Marie Lu. Priory of the Orange Tree! Though to be fair, I was doing a readathon at the time, so it was my goal to stay up super late. Regardless, I found it really hard to put it down, and I can’t wait for everyone to get it in February! I’m finally reading something good! xD I’m honestly really excited to get through my stack of review copies so I can get to continuing some series. I love this tag! I haven’t seen it before, so glad I did. I keep seeing people rave about VE Schwab so I will definitely plan to read one of her books! She’s amazing, Vicious is my favorite book of hers.